It happens: you’re thirsty, sweaty and need a drink badly. You run to the fridge, but all your beverages are just so BORING. What do you do? Hi, Ghost Billy Mays here for Haruhi Lemon Fruit Juice! Haruhi isn’t interested in ordinary fruit juices, so why should YOU be? Ditch those dull drinks! Grab a can of Haruhi lemonade instead, and enjoy it’s wonderful citrus flavor! It’ll blast your taste buds into Haruhi heaven! Excellent for parties, walking on the beach, or just relaxing at the house! On the sweatiest and hottest of summer days, Haruhi lemonade is sure to amaze! Now that’s the power of moe! Check out pics of this product in action below the break! The year is 1942. The Red Army valiantly battles the Nazi German invaders for Mother Russia’s future. However, a secret occult order within the SS, known as the Ahnenerbe, is resurrecting zombies from the Order of the Sacred Cross (a.k.a. the Crusaders). With these new Crusader zombies, as well as the prince of darkness Baron Nadya on their side, Nazi victory seems inevitable. 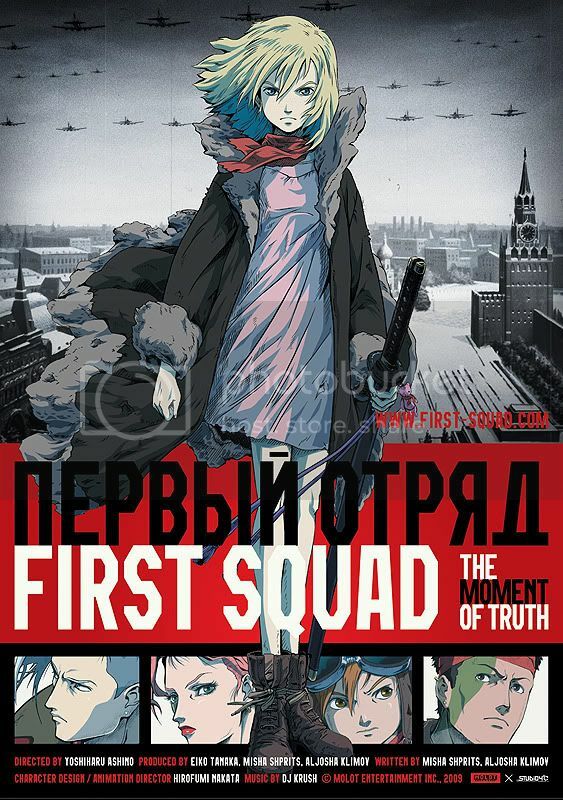 The only hope… Russian Military Intelligence’s 6th Division, who is enlisting the aid of Soviet teenagers with superpowers to fight this otherworldly threat.